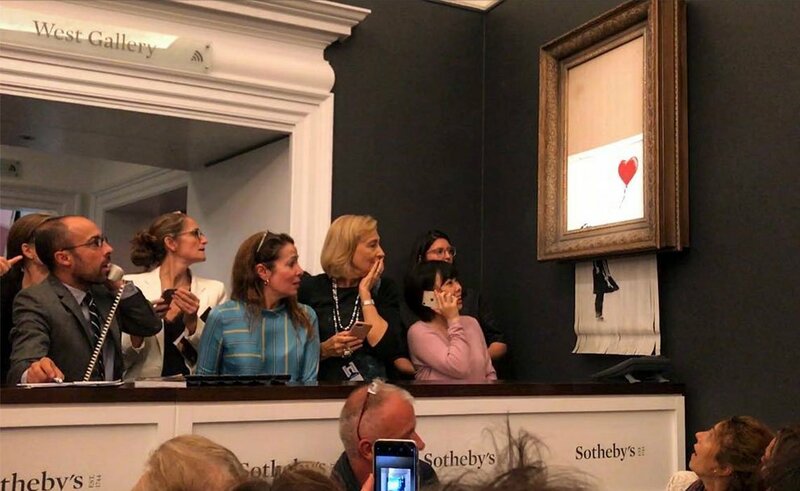 A Banksy painting has ‘self-destructed’ moments after selling for £1m at Sotheby’s. The painting ‘Girl With A Red Balloon’ sold for £1.04m on Friday 5 October at Sotheby’s Contemporary Art Evening Sale in London. Seconds later, however, the painting ‘self-destructed’ by passing through a shredder built into the picture frame. A third of the print now dangles, shredded, beyond the frame. 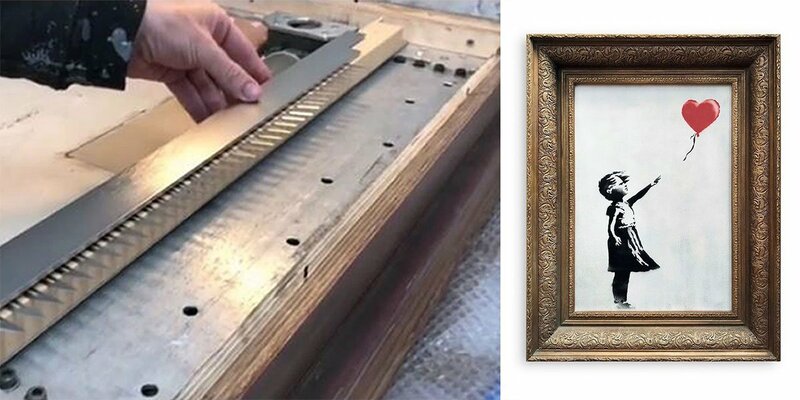 The stunt has been years in the making; the following day Banksy posted a video on Instagram demonstrating the installation of the shredder. The incident has instantly become a moment of art history. MyArtBroker.com, which resells Banksy’s work, now estimate that the piece, in its half ‘destroyed’ form, could be worth at least 50% more. Its increase in value is an ironic punchline to this carefully plotted prank.